Professor Stephen Hawking sadly passed on 14th March, the same day fellow theoretical physicist Albert Einstein was born and also the day we honor the mathematical constant Pi. We pay tribute to his extraordinary life with a Special Commemorative Cover which has a special postmark dated 14.03.18. 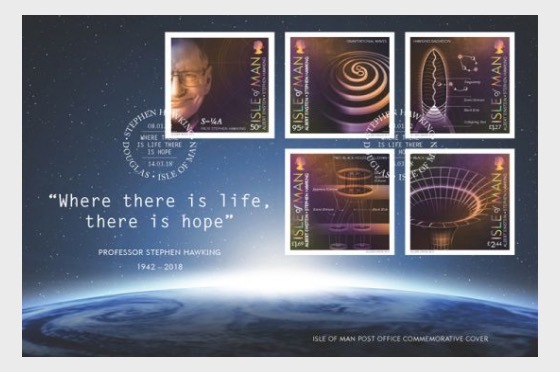 This fitting tribute which includes a special letter from Professor Stephen Hawking himself, compliments the 100 Years of Relativity collection which Professor Stephen Hawking personally endorsed in 2016. It is therefore an honour that we are able to issue this cover in respect of his incredible life works.